58 Parnell Square, Dublin 1, Ireland. The Irish Volunteer — tOglách na hÉireann was first published on 7 February 1914 and every week until 22 April 1916, just days before the Easter Rising. Acting as the official newspaper of the Irish Volunteers it outlined the political views of the leadership and reported on the and important events, such as the Howth Gun Running of 1914. Included in its pages alongside political opinions and news reports are various advertisements for such items as revolvers, bandoliers and military uniforms from stockists across Ireland. 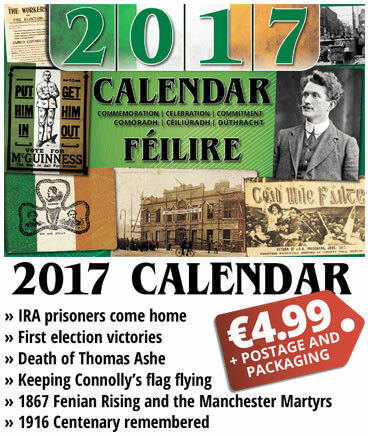 You can now read these fascinating insights into Irish revolutionary history with an online subscription to An Phoblacht for just €10 per year. This includes a digital copy of each new edition of the paper and Iris magazine, access to our digitised historic archives as well as copies of The Irish Volunteer.